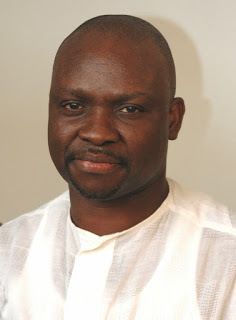 Press statement from Ekiti state governor, Ayo Fayose. Read below.. He said; “President Buhari should rather keep Boko Haram under house arrest, not opposition party members. Those heavily armed security men that invaded Col. Dasuki’s Abuja and Sokoto homes should have been put to a better use by sending them to the Boko Haram ravaged North Eastern part of Nigeria. “The president should keep the rising exchange rates of Dollar, Pound Sterling, Euro and other foreign currencies under house arrest. He should pay attention to governance, be guided by the rule of law and be for everyone and for nobody as he promised when he was sworn into office.” He advised President Buhari to be magnanimous in victory, act like a leader and father of all Nigerians instead of seeing his return to power as an opportunity to revenge against those perceived to have wronged him in the past. The governor asked; “Was there any invitation by the DSS to Col. Dasuki that he refused to honour? Isn’t it worrisome that in this democratic age, security agents could in a commando-like invade the house of a former NSA to carry out his arrest when there is no record that he was invited and he refused to honour the invitation, or that he resisted arrest? “Could Col. Dasuki’s present ordeal be as a result of his advice that the presidential election be postponed? “Is this not an indication of an impending clampdown on PDP members and other Nigerians perceived not to be on the same page with the President Buhari-led All Progressives Congress (APC) government? “We in the PDP supported our party during the presidential election like every other loyal party members should do, should this display of support for our party and its candidate now warrant persecution by the federal government? “If Col. Dasuki actually committed any offence to warrant his arrest and questioning by the DSS or any of the country’s security agencies, shouldn’t warrant of arrest have been issued against him? Shouldn’t he have been invited by the DSS instead of invading his houses and sealing them off in a commando-liked manner?